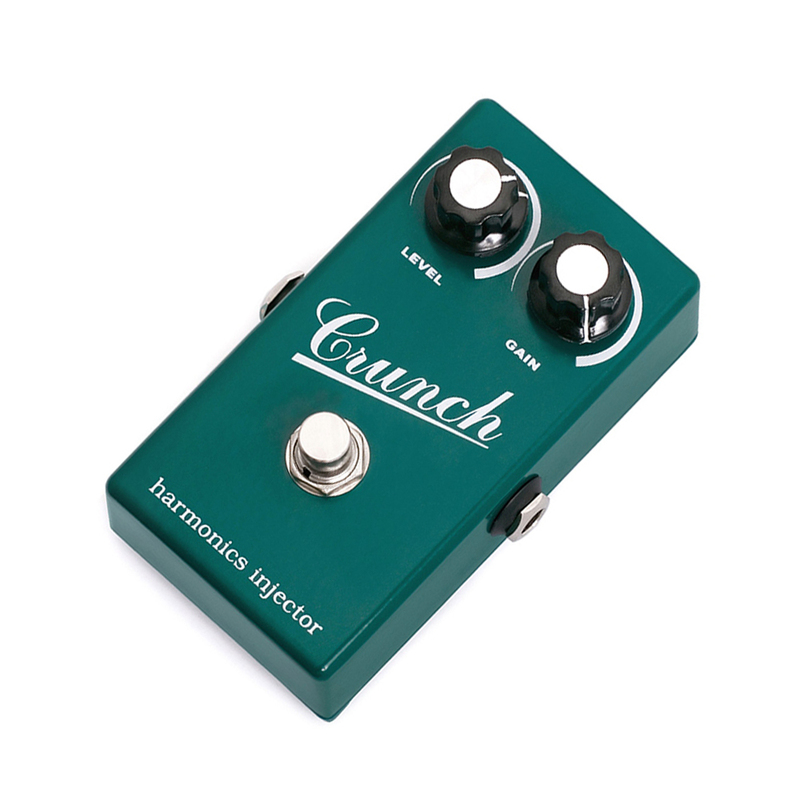 Crunch Harmonics Injector is a MOSFET based distortion pedal for electric guitar. It produces tones from light crunch to thick overdrive when gain levels reach maximum. Dynamics are comparable to that of a tube-based effect units, giving each note definition and a smooth the transition from attack to sustain.